The third annual World Maker Faire New York (www.makerfaire.com) took place Sept. 29 and 30. Close to 50,000 people attended, including many from Westport. Maker Faires have been described as the world's most extraordinary gathering of do-it-yourself talents in science, technology, crafting, fashion, food and sustainability. While many of us brought home things we saw or bought, one young man brought home something even more valuable. Michael Colley, a 17-year-old senior at Staples High School, came home with the Editor's Choice Blue Ribbon prize. His winning creation was an archery bow that can be made for $20. According to Michael, "I have always wanted to make a bow, so I invented my own kind of bow. It functions like a traditional bow, but instead it gets its power from springs, as opposed to taking it from the wood. And the whole thing can be made for $20." The Maker Faire judges and the crowds at the event really liked the bow. According to Maureen Colley, Michael's mother, "The event person who gave us the award told us it was not only because of the ingenuity of his creation, but because of the buzz and excitement it created. We had an almost nonstop flow of people to see the bow and test out the bow in our makeshift archery range. We gave out 250 flyers in just a couple of hours on Saturday, and the rest of the day people took photos of our one and only flyer. We had to reprint 500 more for Sunday. If we had kits, we could have sold hundreds of them." Alex Angus, another Staples senior, was instrumental in helping with the bow project. 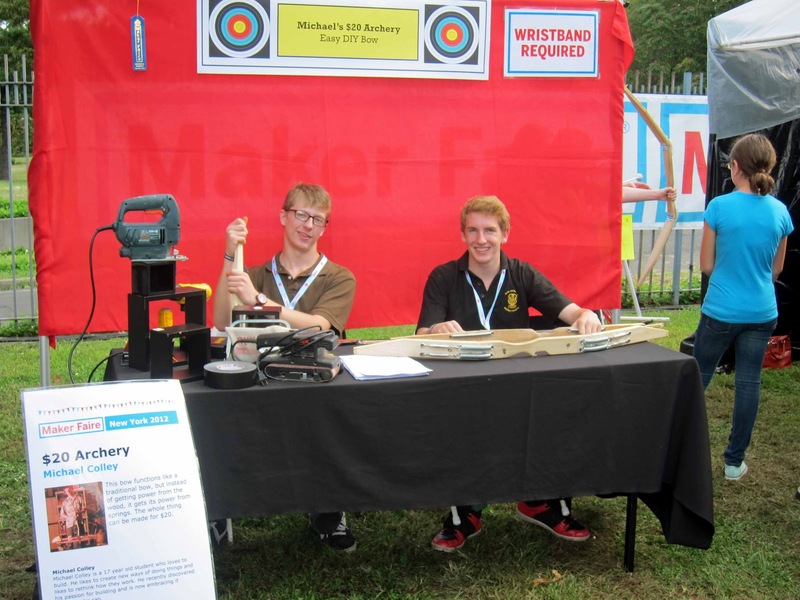 The two boys worked together on the project and worked the booth space at the Maker Faire. Alex is a Boy Scout on his way to receiving his Eagle designation. Michael Coley and Andrew Angus at the World Maker Faire New York 2012 with their "$20 Archery" project. 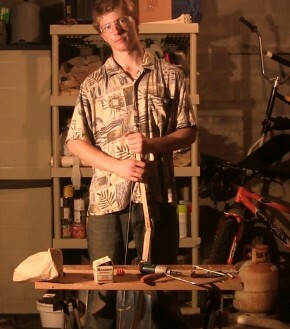 "Michael is always in the garage tinkering. He just walked in the room one day with his bow and said, `Look what I just made,' " Maureen Colley said. This sort of creativity and innovation comes from people of every age and every interest. Tinkerers and do-it-yourselfers often come up with great ideas. Some change the world, but most help inspire the creator and others who meet him or her. Michael, congratulations on this achievement. And thank you for the inspiration. Mark Mathias, a 30-plus year veteran of information technology and a resident of Westport, Connecticut, was named by Computerworld magazine to their inaugural list of “Premier 100 IT Leaders.” This column was originally published in the Westport News on Wednesday 3 October 2012.